Trucking | Jones Transportation Inc.
Jones Transportation Inc specializes in full load open deck / over dimensional and van load trucking providing service across North America (with a distinct emphasis on Western Canada). We also provide local dedicated cartage service. 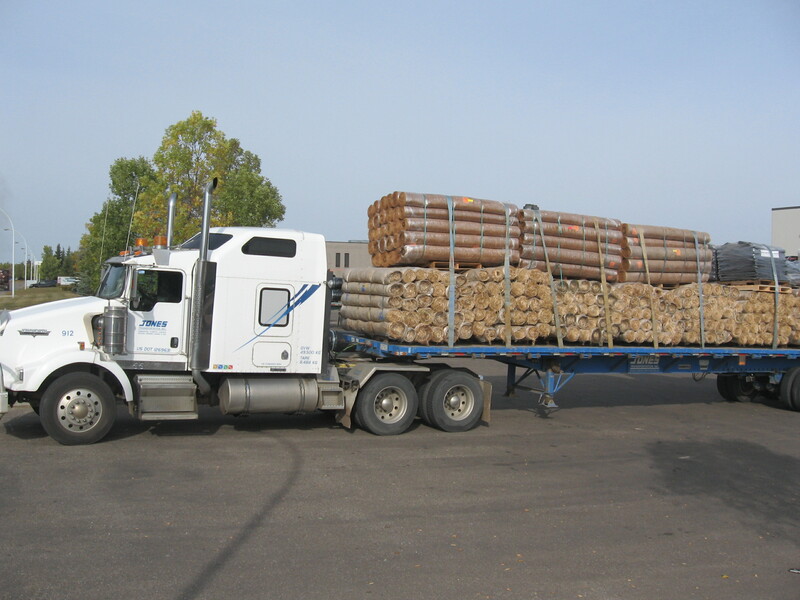 We have facilities in Edmonton and Calgary staffed with trained / experienced professional operators and a complete portfolio of trailing equipment to fulfill your transportation / logistics requirements. Jones Transportation Inc is a full service Dray provider. In addition, we offer intermodal / sea container stuffing, destuffing and heavy transloading services complimented with open deck delivery / pickup services throughout Western Canada and beyond. We have experience with a wide variety of commodities. We have full 24 / 7 access to CN / CP Rail and all off-hire intermodal facilities in Edmonton and Calgary with our own fleet of trucks. © 2015 Jones Transportation Inc.